Easter eggs are used in so many ways at Easter. 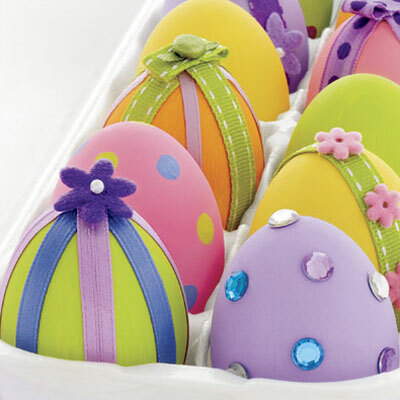 Here are some tips for decorating and using eggs in many different ways. These Beribonned Beauties are made with paint and crafty trims. 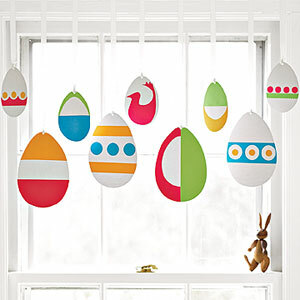 These paper eggs will brighten up your room and are easy to make. 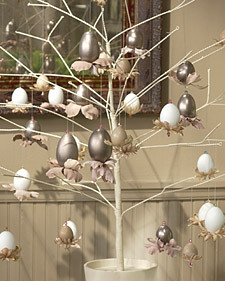 Martha Stewart shares ideas on how to make Egg Ornaments and Jeweled Eggs for an Easter tree. 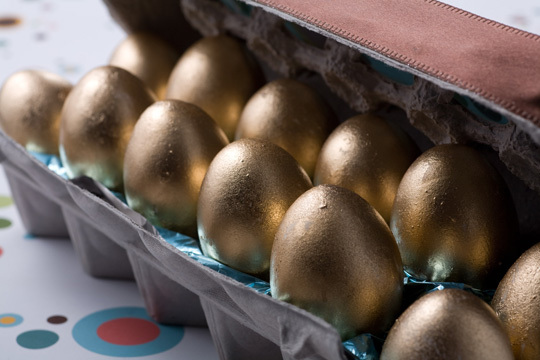 Here is a recipe for Golden Chocolate Easter Eggs using gold dust to enhance the look of the eggs. Allrecipes also has some other tips for decorating eggs like the Flower Vase Egg, the Disco Egg and the Word Egg. Whether you are decorating eggs or making Easter recipes with eggs, don’t forget all of the different options that you have to use eggs for this festive season. These are so pretty. Great ideas!